"Made a significant difference with my mental focus. I’ve noticed how well I concentrate on what my clients and prospects are saying to me…"
"My name is Brian Freeze and I’m a 47-year-old health & life insurance broker. My clients and prospects rely on me giving them up to date info about their health and life insurance needs. I want to provide the best professional service every day. 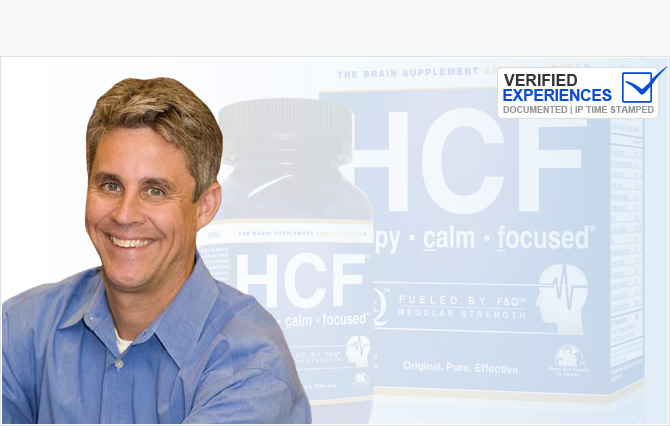 HCF has made a significant difference with my mental focus. * I’ve noticed how well I concentrate on what my clients and prospects are saying to me. Believe it or not, the best salesperson is one who actively listens. To listen well you have to totally concentrate on what’s being communicated verbally, body language, etc. I know HCF has improved on how I process what is being communicated. I strongly recommend this outstanding product. Thank you HCF! Keep up the great product quality and service."